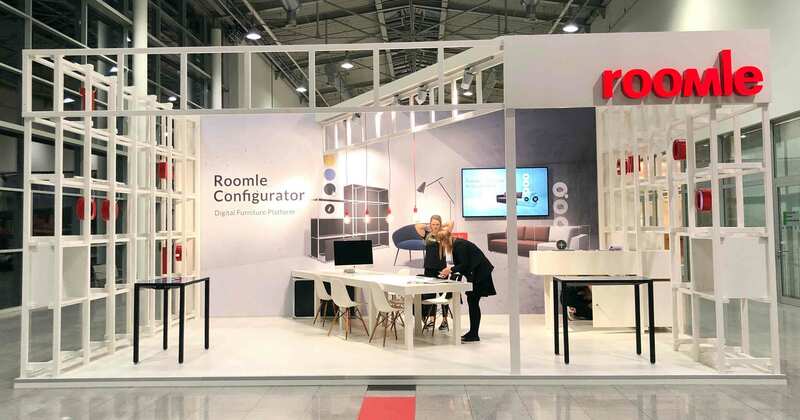 Roomle sets a new standard for highly configurable furniture available across all channels. At the imm cologne, in Boulevard / Stand 028, the digital furniture platform presents the diverse application possibilities of digital furniture on 40m². 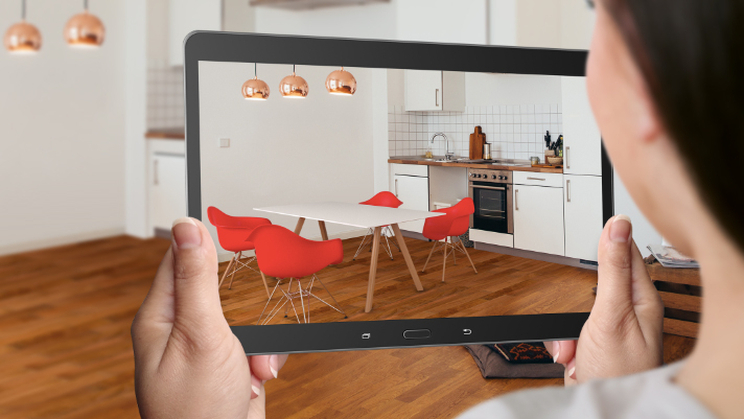 From now on, the virtual reality feature is integrated into the Roomle app 2.6. Easily switch from the walkthrough mode (1st person view) to the VR mode. 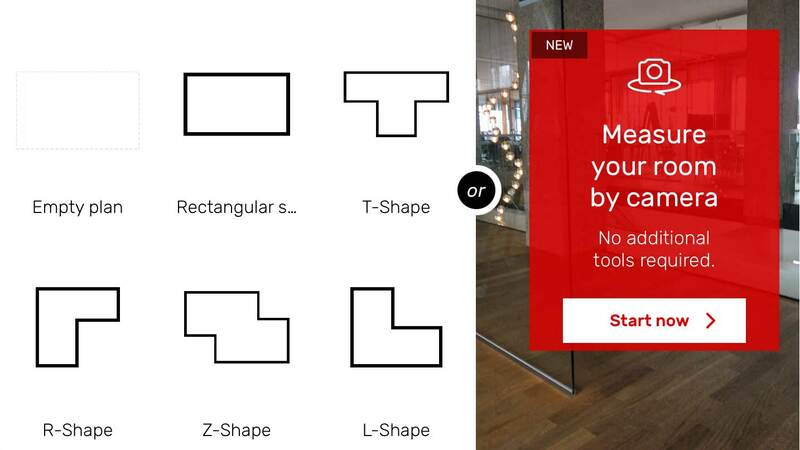 Let customers configure furniture products out of your website, eCommerce platform or Sales App. 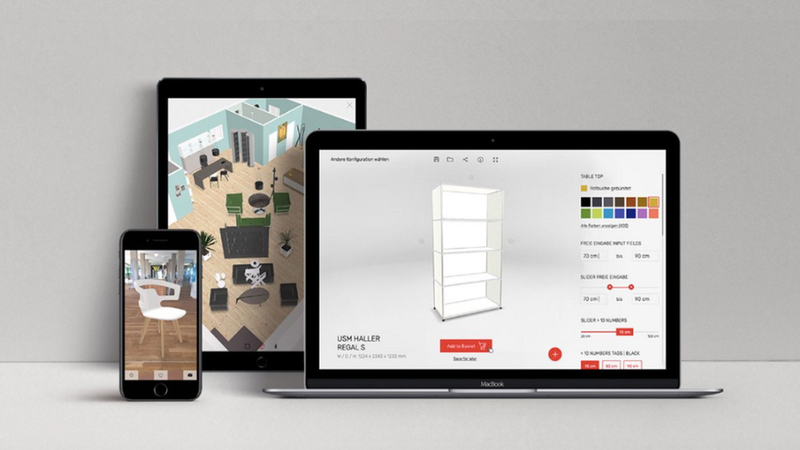 Whether the user journey starts online or mobile, Roomle provides a platform solution for omni-channel furniture sales. All the Promises of Digital Come True! 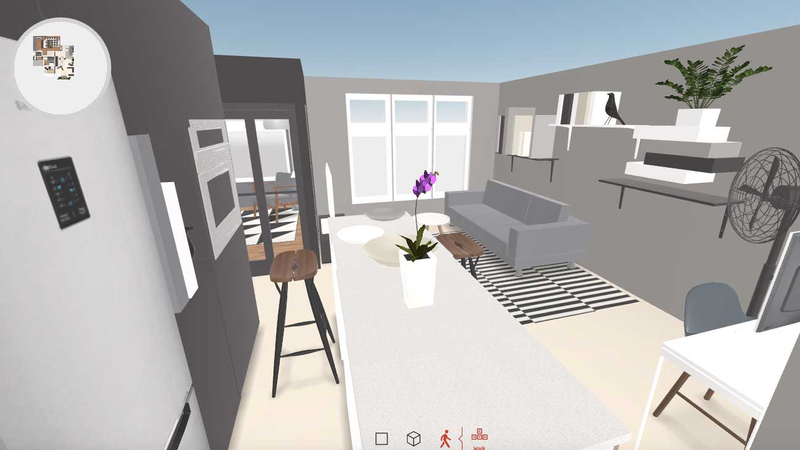 The new Roomle Configurator is simply an elegant, incredibly fast and visually breathtaking tool for the interactive 3-D visualization of furniture. Upon closer inspection, it fulfills all the industry´s digitization visions and promises – in all dimensions of quality, speed and process efficiency. 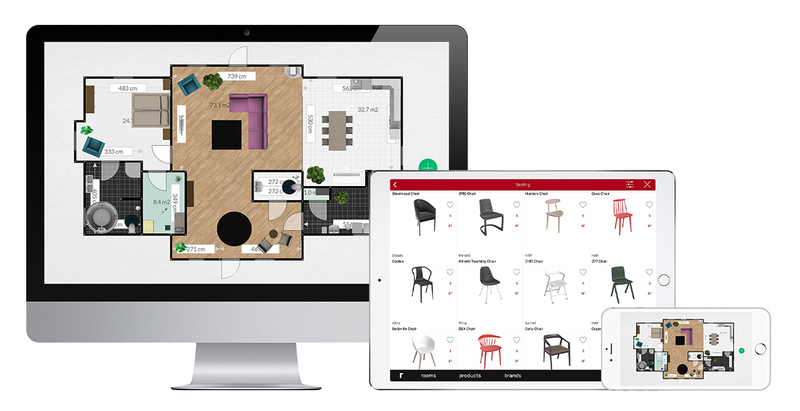 Roomle 2.5 comes with an enhanced UI for configurations, the “Click to Insert” feature and a measurement tool for correct sizes of furniture - for iPhone and iPad. 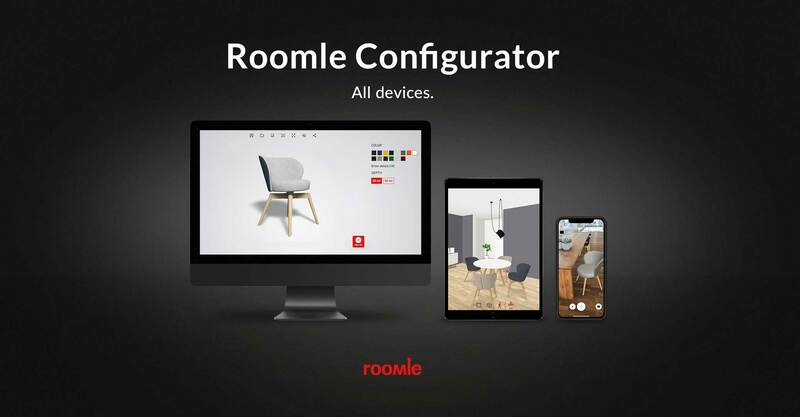 Roomle Introduces the First Photorealistic 3-D/AR Furniture Configurator! 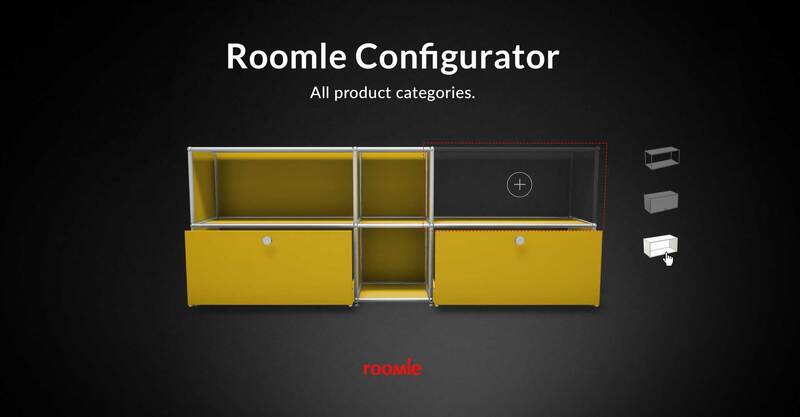 Roomle introduces a spectacular new service: The Configurator 2.0 shows products in stunning detail and quality. 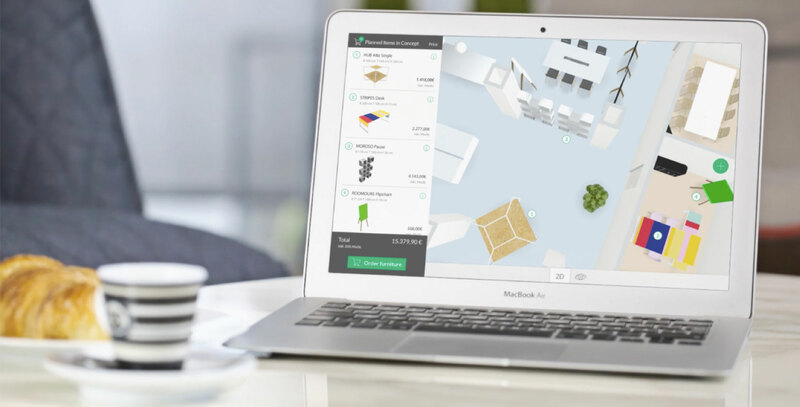 It has the potential to revolutionize production and sales processes in the furniture industry. 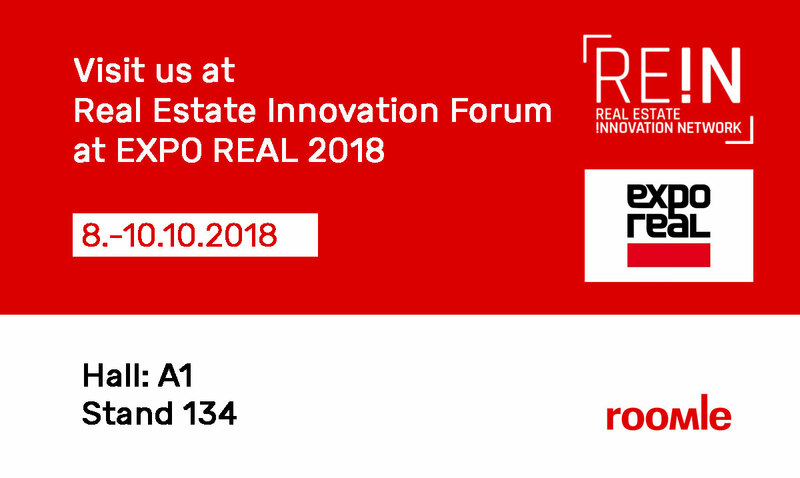 Meet Roomle at the Real Estate Innovation Forum at EXPO REAL 2018 - in the TECH ALLEY and in the TECH TALK Zone - from October 8-10, 2018. 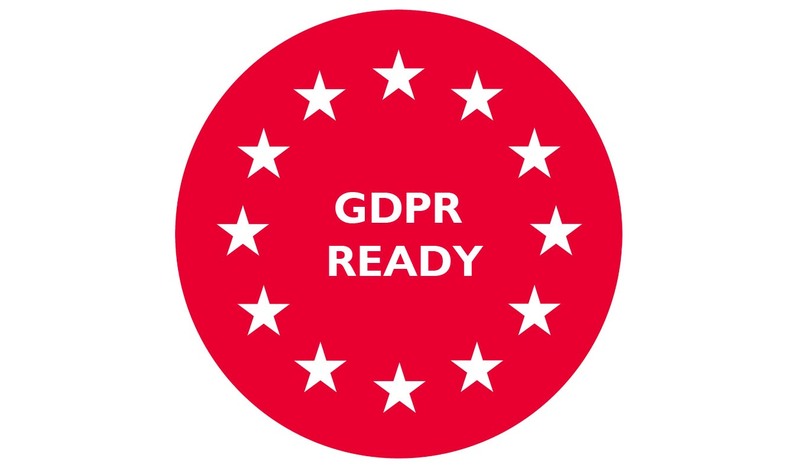 On May 25th, 2018, the EU's General Data Protection Regulation (GDPR) became applicable. That's good and important, because it protects your personal information even more! Gleich zwei Möbelexperten beteiligen sich an der digitalen Möbel-Plattform Roomle: Ex-Finanzminister Hans Jörg Schelling und der Geschäftsführer der Strasser Steine Gmbh, Johannes Artmayr. Roomle version 2.4 comes with a feature that makes it easier for you to map your rooms: Augmented room scanning - with the latest Apple devices (as of iPhone 6S). 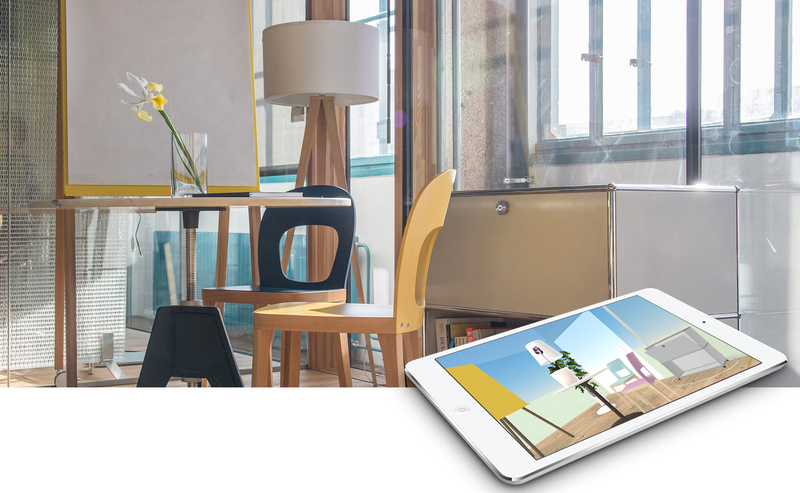 Roomle version 2.2 comes with enhanced Augmented Reality quality and a bunch of improvements. 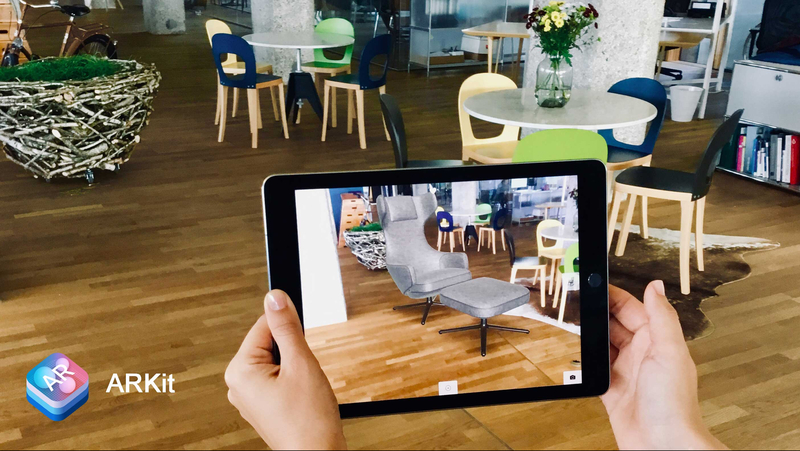 The incredibly simple user interface, matches all technologies — including Apple´s ARKit. Die imm ist eine der international spannendsten Möbelmessen auf der die Trends für das kommende Jahr festgelegt werden. 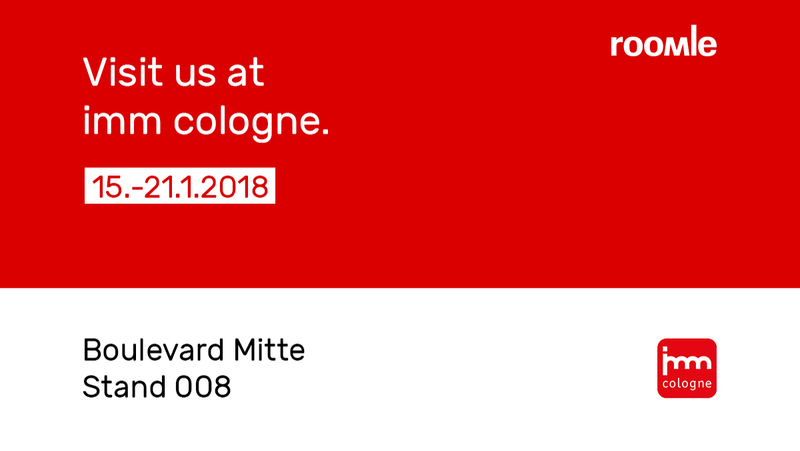 Roomle ist dieses Jahr mit dabei und präsentiert auf 12 qm im Boulevard Mitte, Stand 008 innovative, nutzerfreundliche Möglichkeiten für den Möbelkaufprozess von morgen. Roomle version 2.3 enables you to use the Roomle App in it´s full functionality also on your new iPhone X device on the Go. Als größtes Wohn- und Lifestyle-Magazin Europas genießt SCHÖNER WOHNEN seit über 55 Jahren höchstes Vertrauen bei seinen Lesern und steht für 100 Prozent guten Geschmack. Das Magazin inspiriert und berät seine Leser mit Einrichtungsideen. 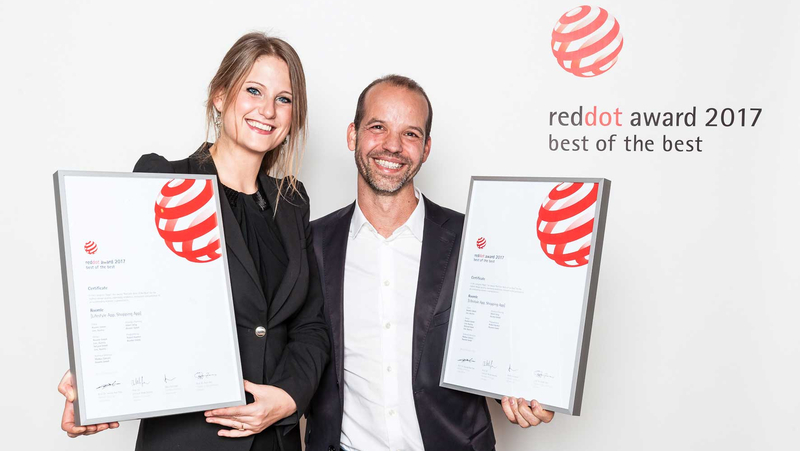 Omni-Channel beginnt dort, wo die Suche startet: überall. Für den klassischen Käufer ist das heutzutage meist online. 1 Million Registered Users :: 1,5 Million App Downloads :: 3 Million Plans! 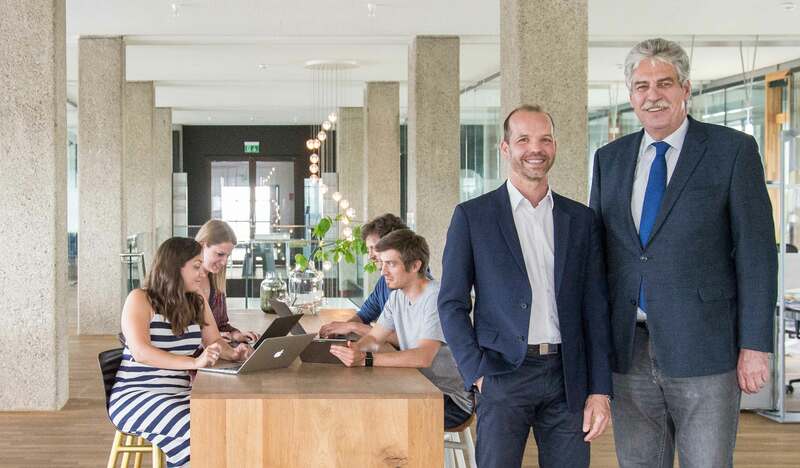 The Austrian start-up Roomle celebrates its first million registered users. Since its introduction in 2014, 1,5 million users around the world have downloaded this online planning tool to their desktops or mobile devices. 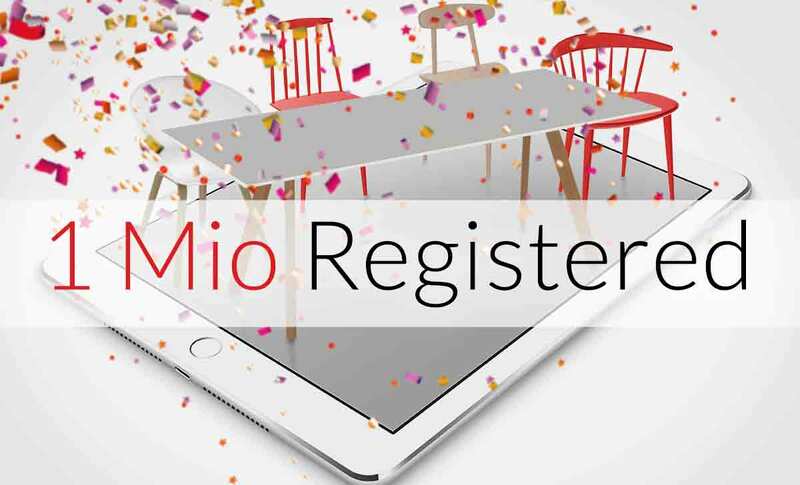 In September this year the 1 million registered users milestone was hit. 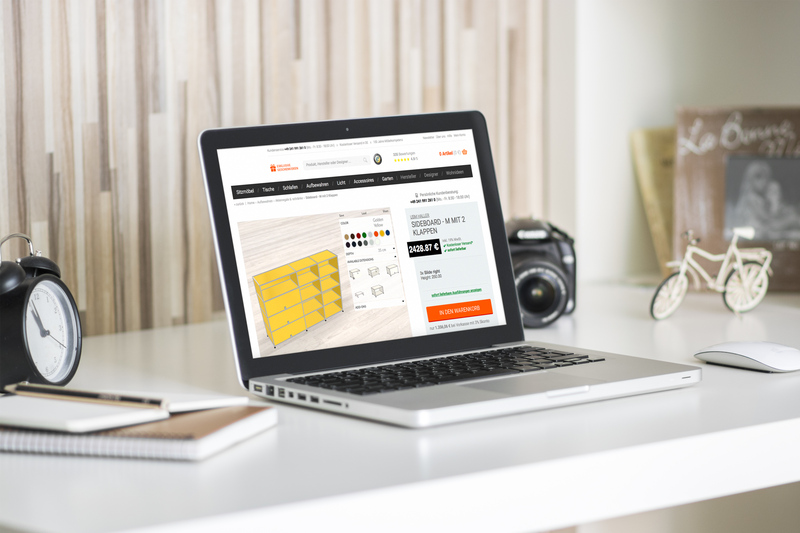 Ordering a Sofa or ordering a T-Shirt – What´s the Difference? Innovative Omni-Channel Solutions for the Furniture Industry. Virtual Reality (VR) is already omnipresent. It really shines where operating in a real-world environment would be dangerous, unwieldy or expensive – like e.g. in aircraft cockpit simulations or complicated surgery. 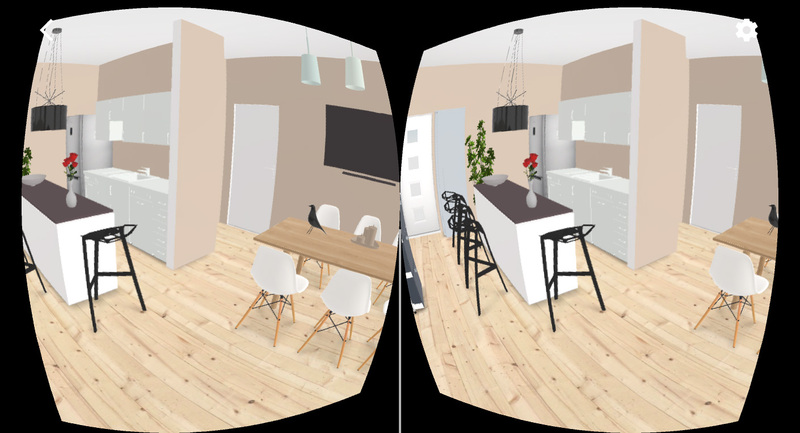 Making VR available everywhere and giving consumers the tools to interactively shape environments and products is the new, exciting promise of Roomle. Italian design label Fantoni and digital platform Roomle may well be the blueprint for the future of the furniture industry: They streamlined sales processes in furniture production. 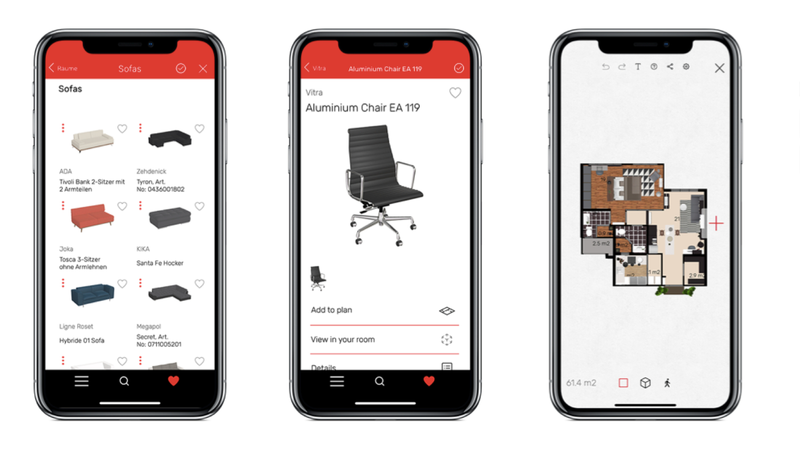 Integrating the Fantoni furniture catalogues into the Roomle app has opened the door to online customization, configuration and purchase of personalized industrial products. Adding a personal design touch to a piece of furniture and previewing the effect in your own home environment is now totally easy: Roomle delves into personalization, customization and configuration of industrial products, introducing a novel 3-D configurator based on the enormously popular Roomle Planner for iPad, iPhone and web. It works real-time and in 3-D on every channel. From now on, the new technology is available for all online shops. Subscribe to our newsletter and stay updated for new features, upcoming events and more! Roomle.com © All rights reserved.